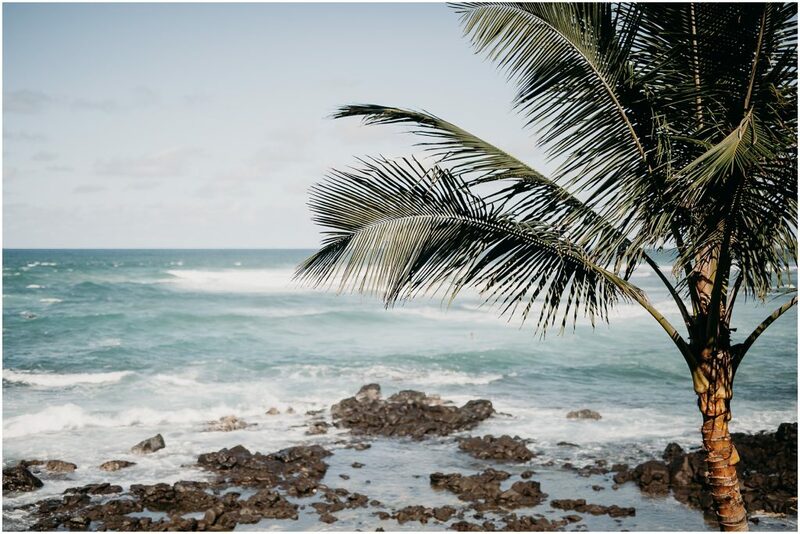 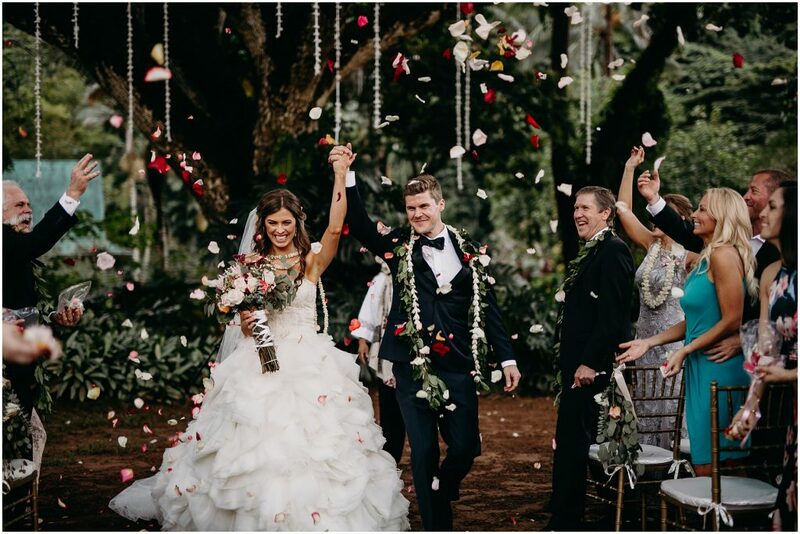 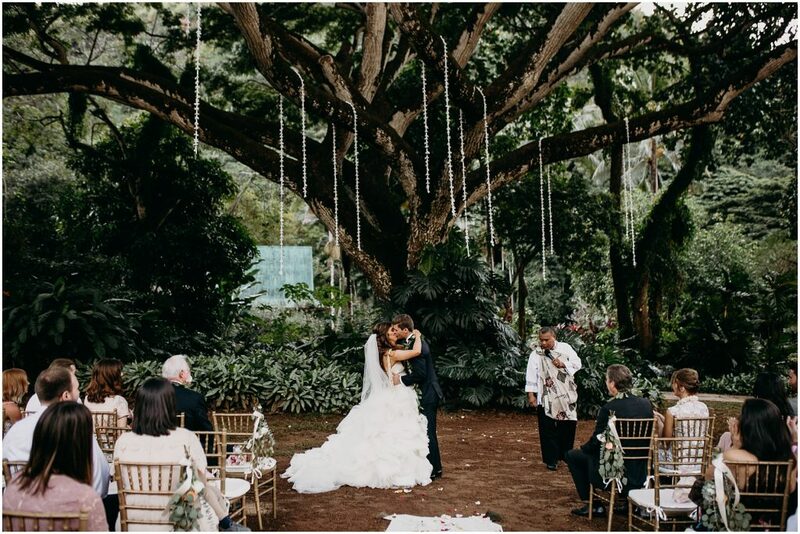 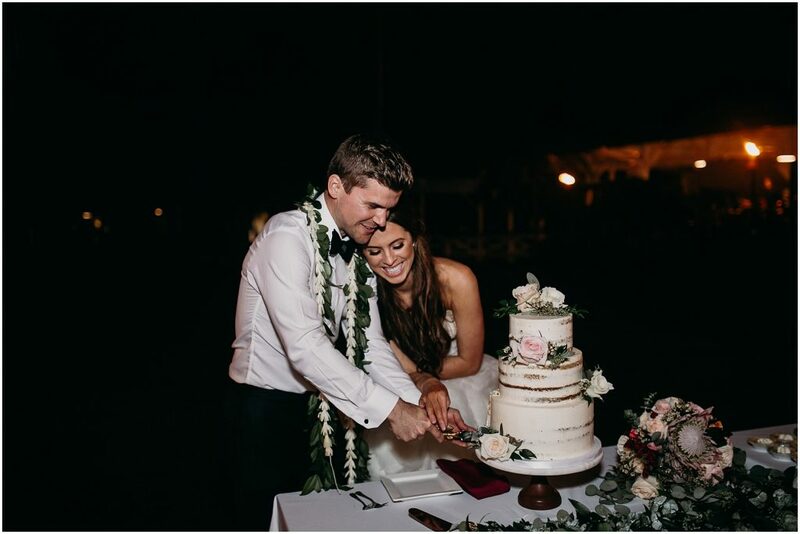 For Eric and Jodee’s Hawaii wedding, they rented an amazing beach house on the North Shore of Oahu, just a few minutes from their venue at Waimea Valley. 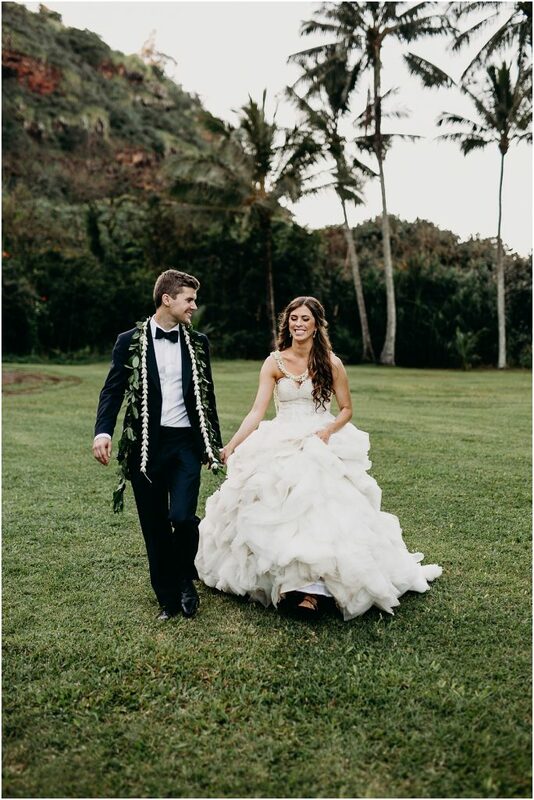 Jodee’s dress was absolutely stunning and Eric looked so sharp in a traditional tux. 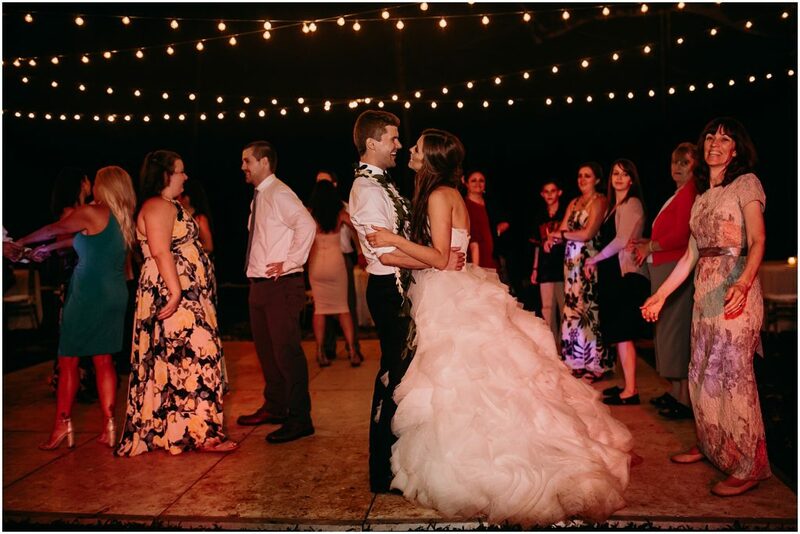 Eric took on the role of the wedding coordinator and did an outstanding job! 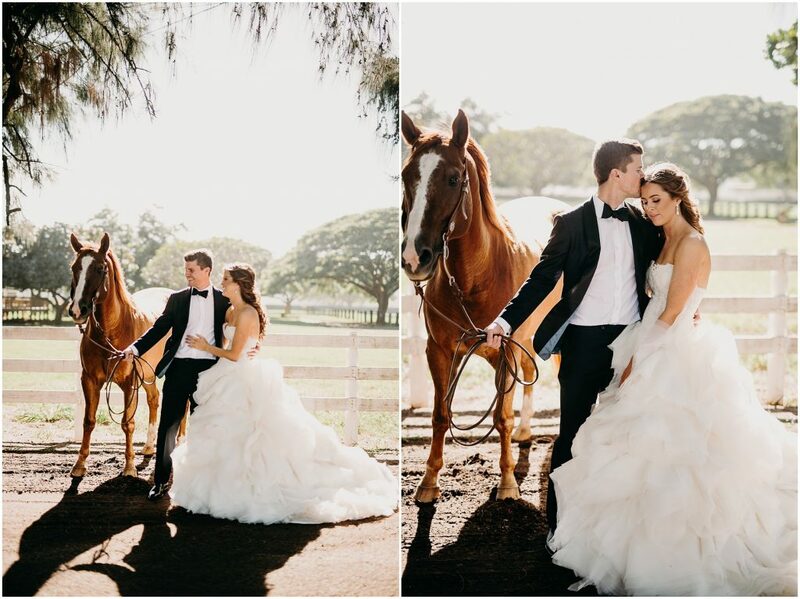 I was a little hesitant and frankly quite worries when he told me that but what he pulled off was amazing! 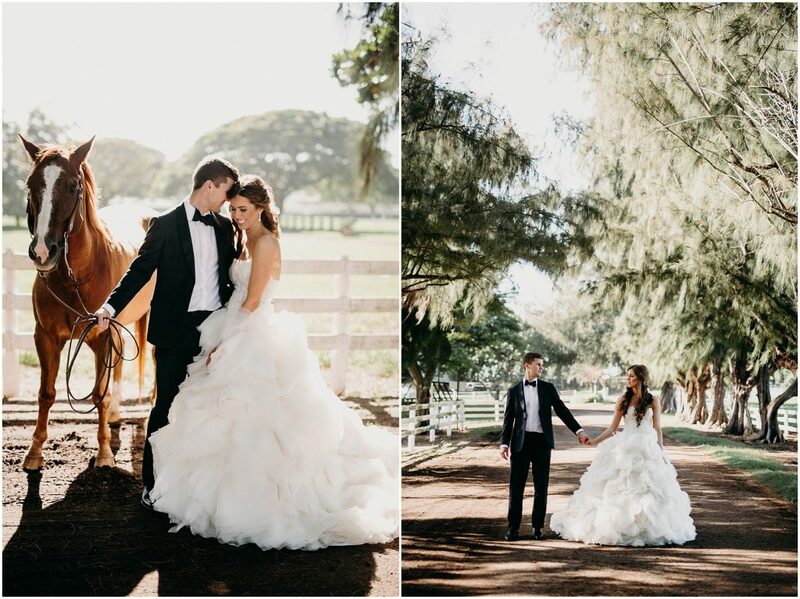 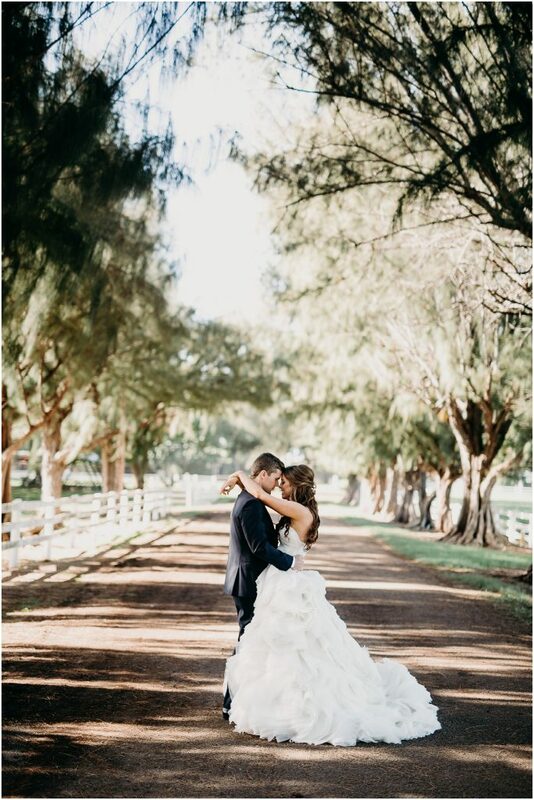 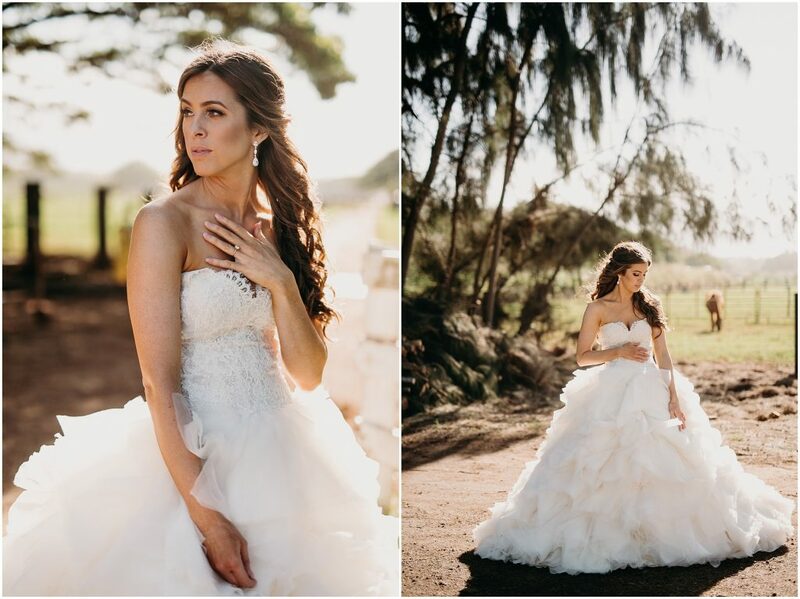 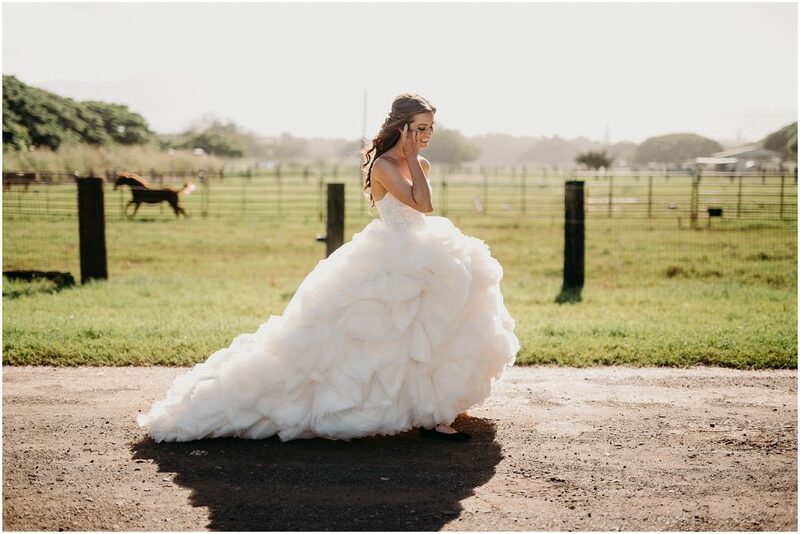 He also organized a session before their ceremony at Kawailoa Ranch just across the street from their beach house. 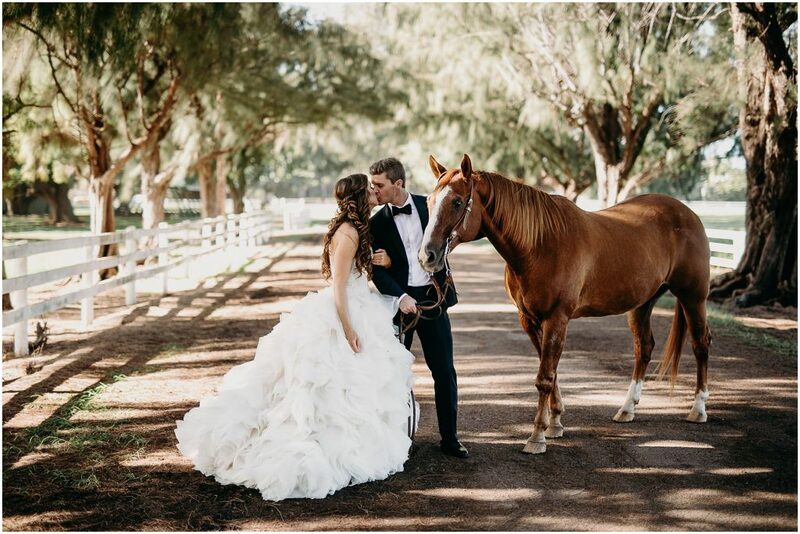 The ranch staff had a gorgeous horse ready for us when we showed up who actually ended up posing for most of the photos. 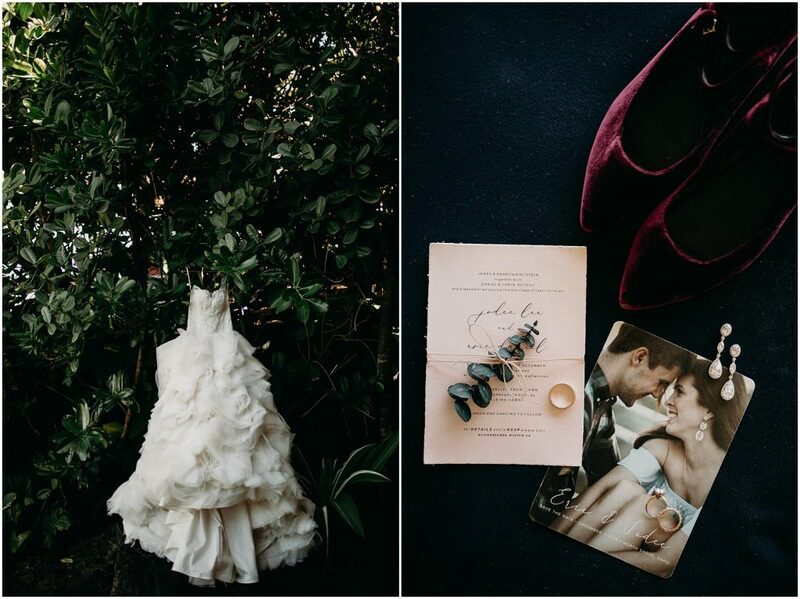 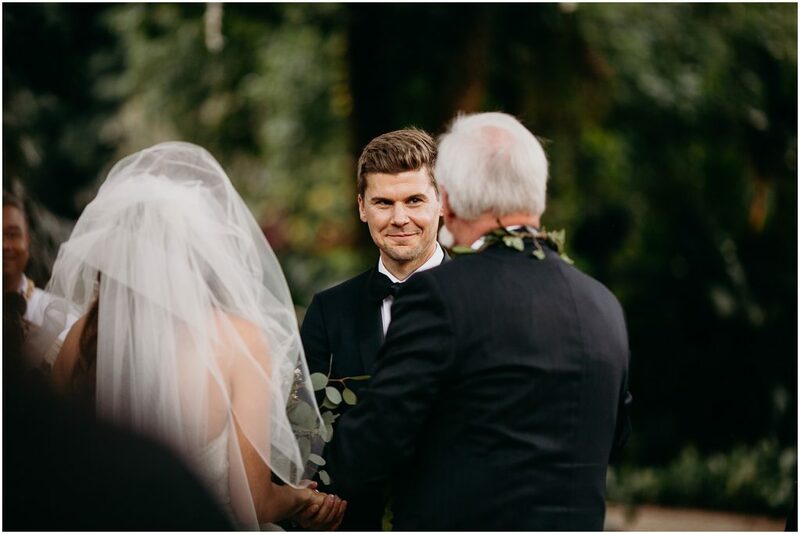 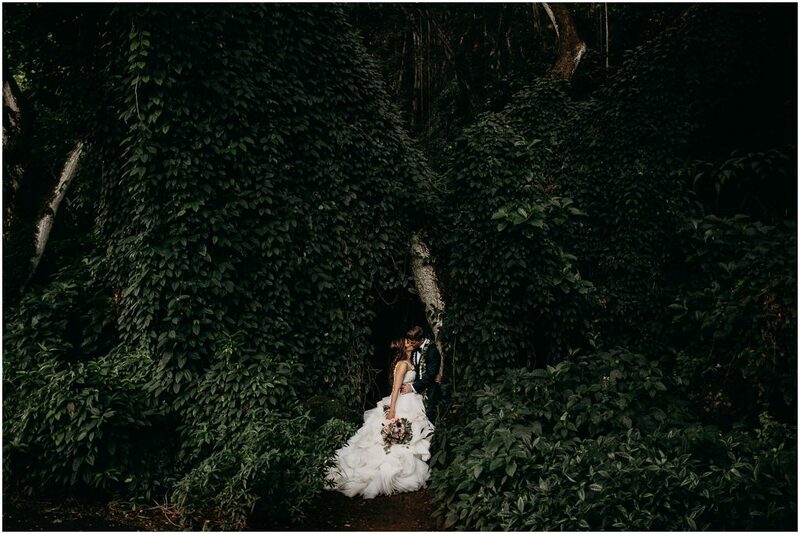 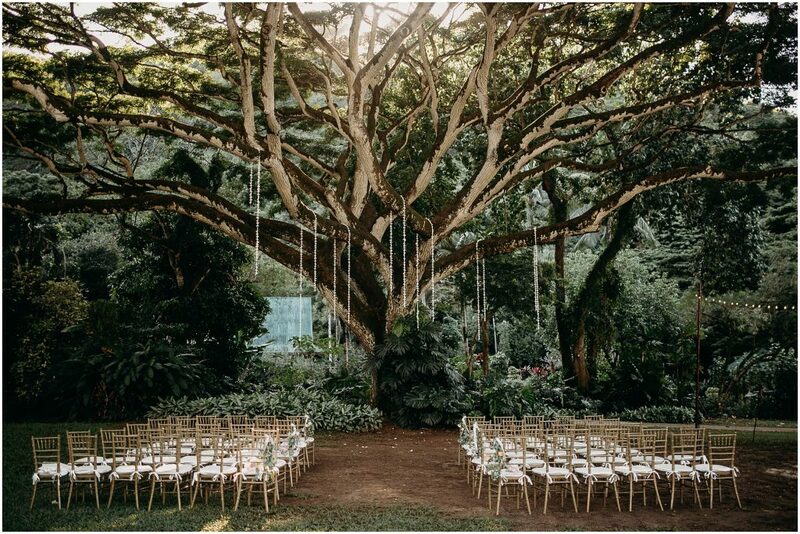 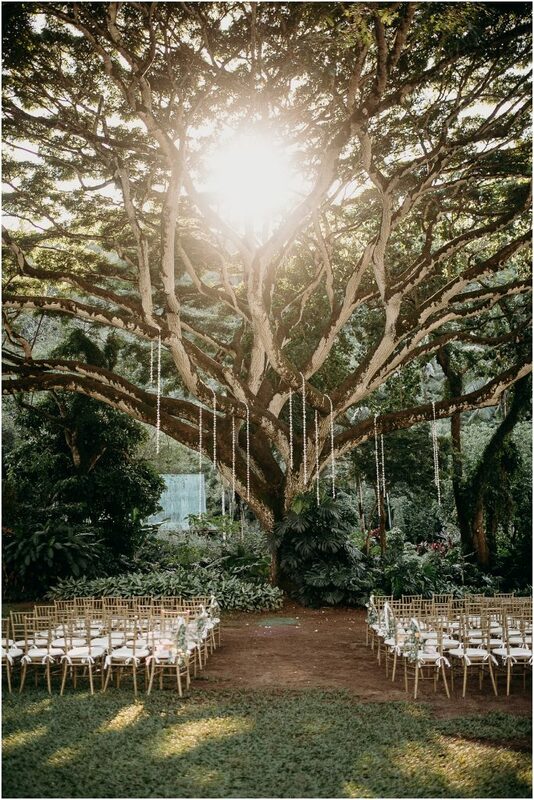 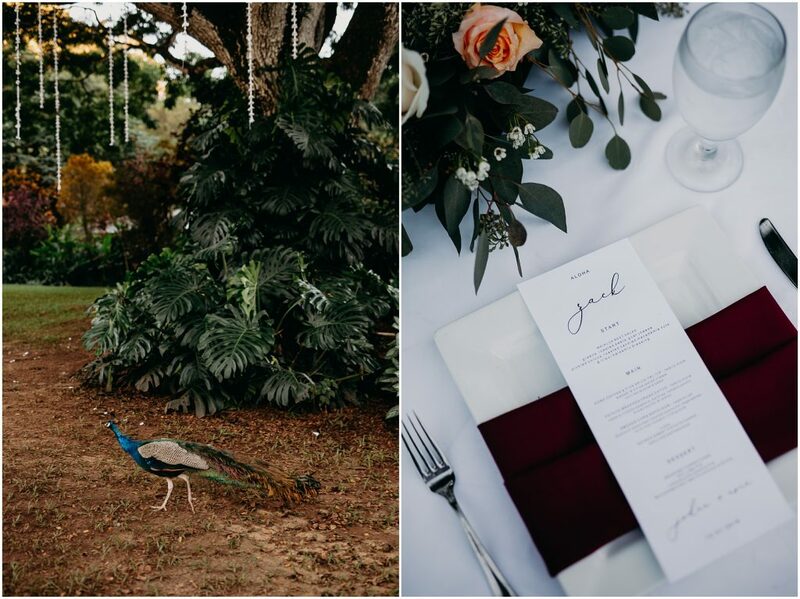 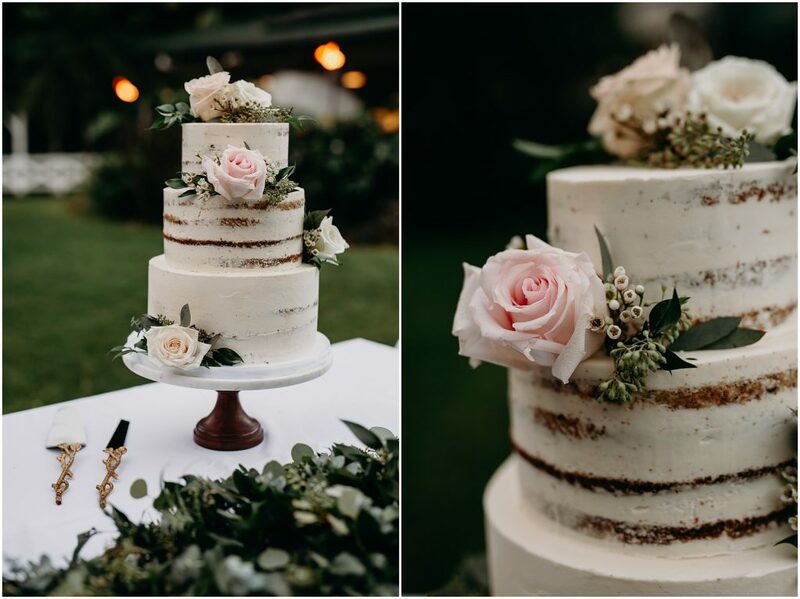 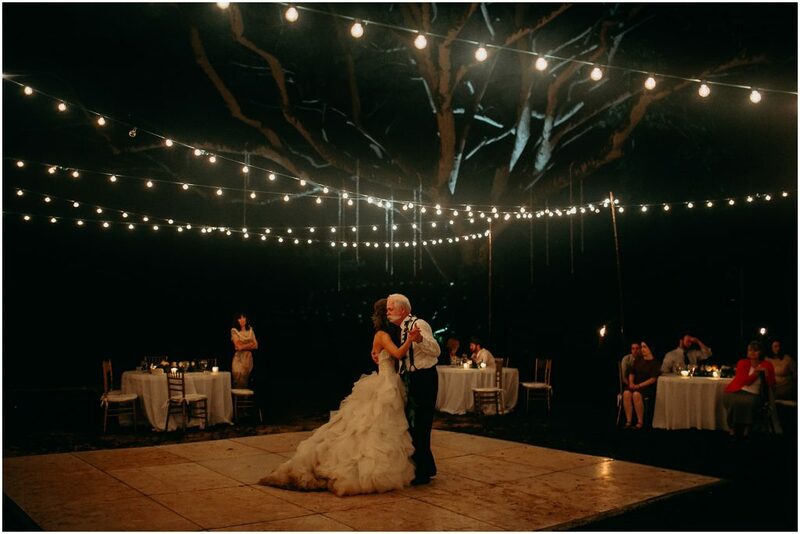 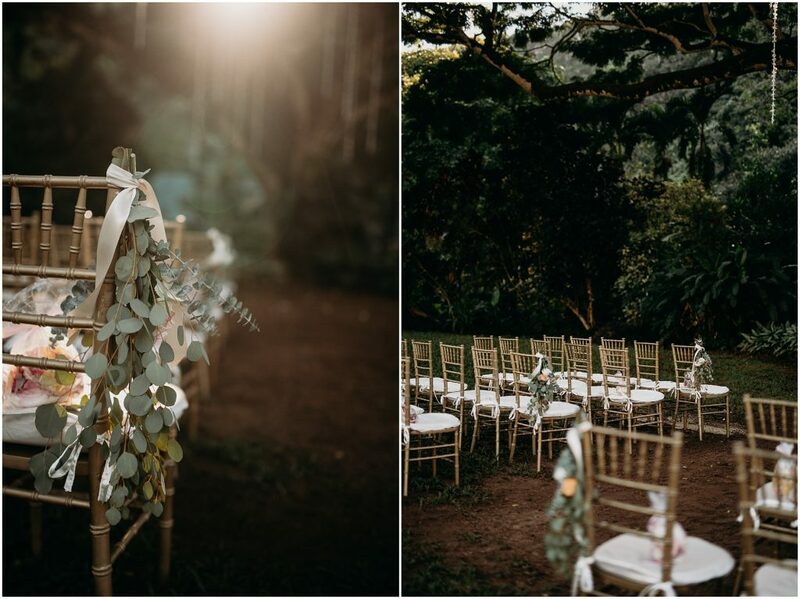 Eric + Jodee’s ceremony and reception was held at beautiful Waimea Valley.